New Delhi: Ending the week long speculation, Congress on Sunday announced that party president Rahul Gandhi will contest from Wayanad in Kerala as his second Lok Sabha constituency. The Congress has already announced Mr Gandhi’s candidature in his trad itional seat Amethi in Uttar Pradesh. The announcement was made by senior Congress leader and former Union Minister AK Antony at a press conference addressed by him along with AICC General secretary K C Venugopal, AICC Kerala incharge Mukul Wasnik and AICC media incharge Randeep Surjewala. 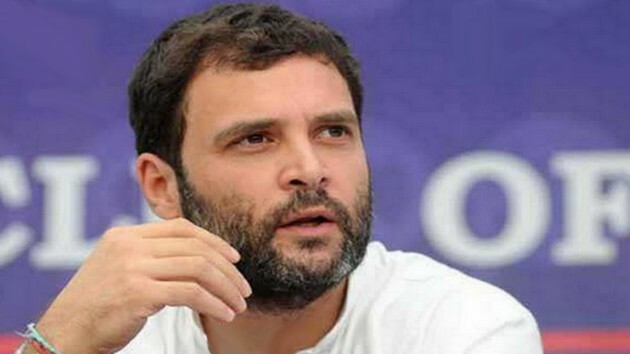 “For the last few weeks, many Congress workers and leaders have requested Rahul Gandhi to contest from Southern seat. Finally he has given his consent. I am happy to inform you that he will contest from Wayanad Parliamentary constituency from Kerala”, said the senior Congress leader. “It is situated in Kerala, but also surrounded by Tamil Nadu and Karnataka. In a way it will satisfy the requests of three southern states”, Mr Antony added. “This is a message to the southern states that they are deeply valued and respected. Rahul ji has said that he will represent Amethi but will also represent southern states as they are an important part of India's way of life”, Mr Surjewala added. The Congress spokesperson also said that this is a fight to espouse the aspirations of South India. “This is a fight to give a befitting reply to those forces that attack cultures, languages, way of life and also the deep connect between North and South India between which BJP has created a division”, he said.